Cloud storage of your documents and other information is a boon to everyone who is using the internet. There is no need to carry pen drives and other physical storage devices when you can store all your data in cyberspace and then access it from wherever you like. It's goodbye to heavy pockets and the best part about Cloud storage service is that you wont have to shell out 1000 bucks every time your hard disk crashes as your data is safely secured online using cloud. Dropbox is one of the best online storage services, but it is not the only one. There are others as well. 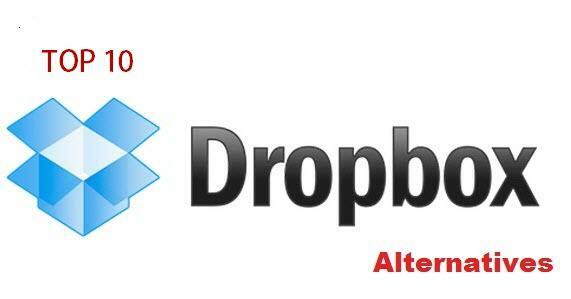 Here are the top 10 alternatives for Dropbox. See the list of best alternatives for DropBox for storing your files in the cloud. This is one of the simplest DropBox alternative yet loaded cloud storage service that is present on the internet. You get to store 5 GB of data free of cost and there are personalized plans that present. It supports windows as well as Mac systems. This cloud storage service is compatible with any operating system that supports Flash and could be a cheap alternative to DropBox. There is 5GB storage that is provided free of cost or you can get 20GB space free if you get yourself any album from the MP3 store of Amazon. The Windows Live Mesh cloud storage service is known to be one of the best of its kind and a strong competitor to DropBox, but the only drawback is that it has no mobile clients and thus you cannot access it from your handset. There are very many options that are present and the user interface is interactive. There is 5GB storage that is available free of cost, but the files that you store must not be larger than 25MB. In case you need to use more storage space then you will need to pay according to various plans that they have. Spider Oak is a good DropBox alternative if you do not have a lot of files to store as they provide a free storage space of only 2GB. There is back up of the files that you store with the help of this service and thus you can be hassle free if you use their services. Among the other online cloud storage DropBox alternative that are present, this is one of the best that you can use. There is data encryption and the storage system is based on the plug in system. There is 5GB storage space that is free in case of Jungle disk and in case you need to use more then you will have to pay a nominal fee according to the space that you want for your data. It is compatible with Windows, Mac and Linux too. This online cloud storage service will provide you with a space of 1GB free of cost and there are many plans you can subscribe to, in case there is any more space that is required by you. It is compatible with all versions of the Android operating system. The service is known to provide ever user a personal cloud for storing their data and in case you need to connect with another user for exchanging your data, you can merge your clouds. This is slightly different from the other services that have been mentioned. It claims to give unlimited storage and the privacy is top notch. These are the top 10 dropbox alternatives I could find. You can make use of any of them for storing your data and in case you want to go in for a paid plan you need to compare the prices before you make your choice. If you know any better cloud storage services, let me know by posting a response below.